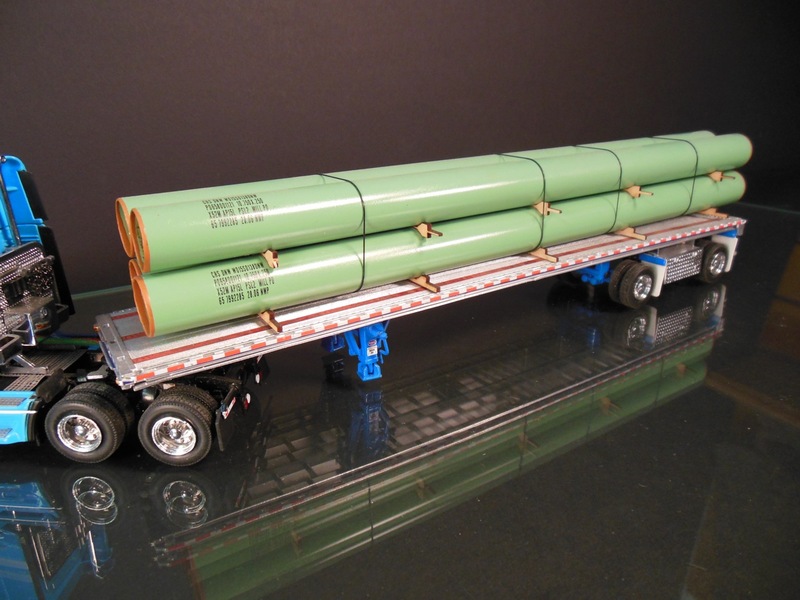 Home / Our Products / Loads / O Scale Loads / 1:48 scale gas line pipe. 1:48 scale gas line pipe. 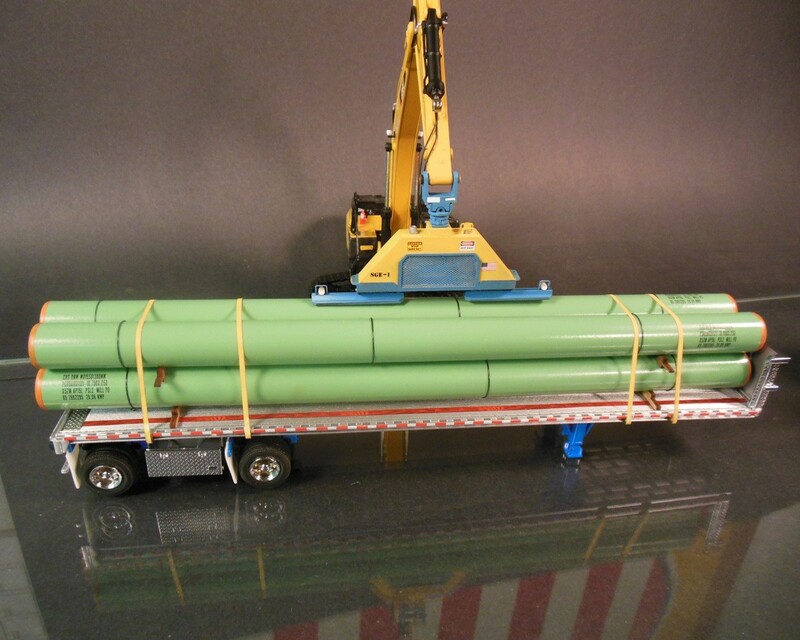 This line pipe is a scale 34” diameter and 11.5 inches long. The pipe is thin wall brass tubing color matched to the prototype. Nylon rope protective bands, data decal, and tapered ends for welding. Custom lengths are available. 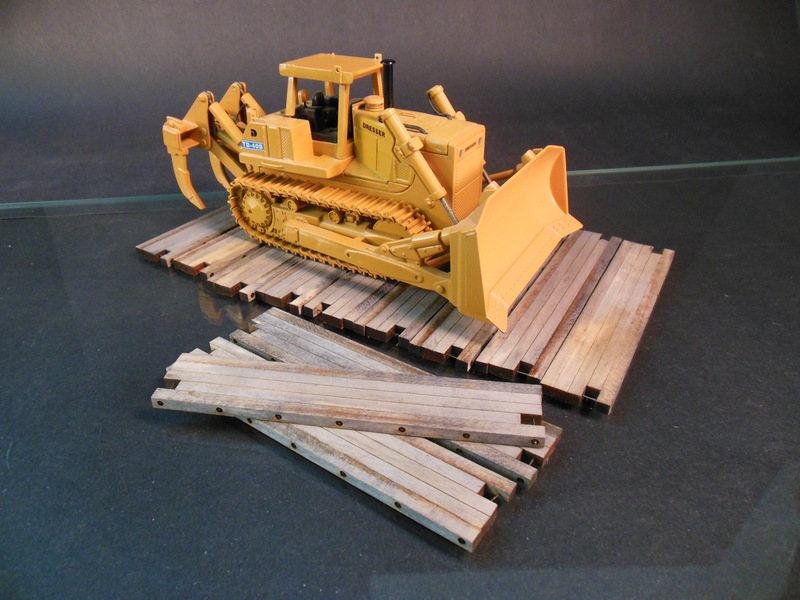 Custom wood dunnage available. 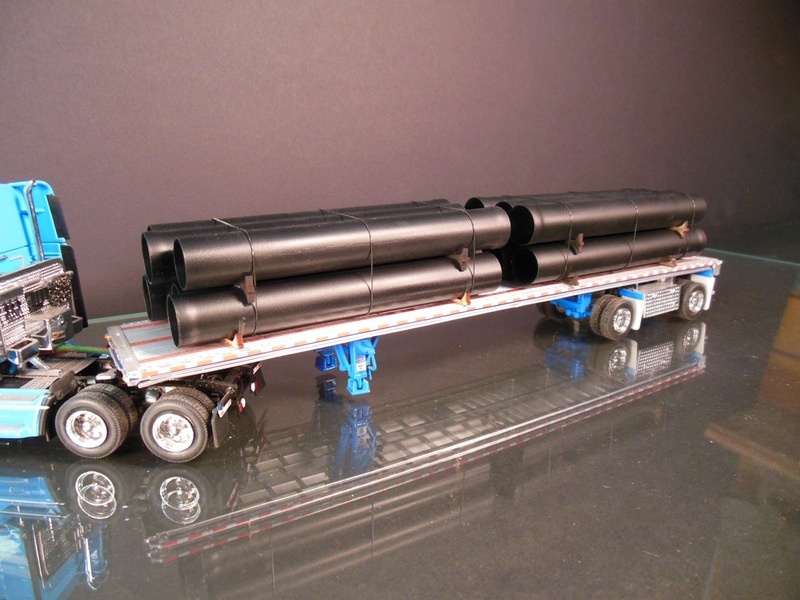 Sleeves are available to link multiple sections of pipe. 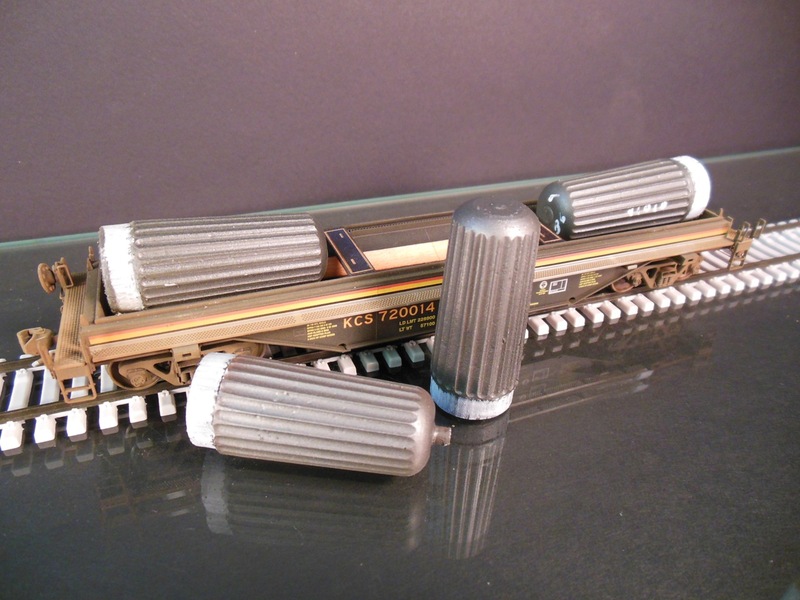 SKU: 1:48PIPE. 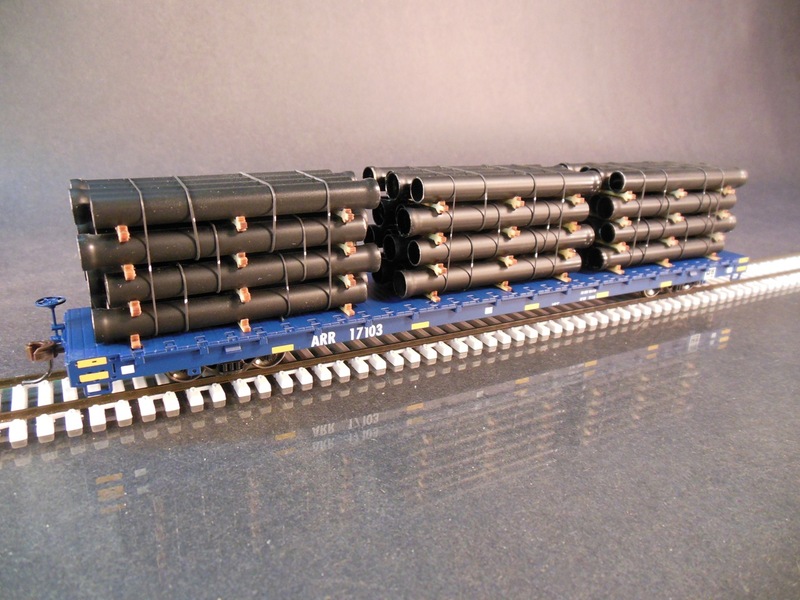 Categories: Loads, O Scale Loads.